Money. Money. Money. That is the only reason NFL Commissioner Roger Goodell is looking for more international NFL games. At the owner’s meeting last month in New York, Goodell mentioned the NFL’s potential contests in Germany, Mexico and Brazil. Playing even one game outside the United States is too many for me. I love the NFL like no other sport. Living in Rochester, New York, I am an hour and a half from Ralph Wilson Stadium which is where the Buffalo Bills call home. Now I am not a Bills’ fan, but I would be pretty angry if I was a season ticket holder and a home game was moved away from Ralph Wilson Stadium and placed in Munich where the German city cheers for their own brand of futbol. It was bad enough the late Ralph Wilson made a deal for the Bills to play one regular season game and a preseason game in Toronto between 2008 and 2013. Thankfully, that agreement has ended for Bills fans. The NFL has played games in Wembley Stadium in London since 2007 with three more games slated to take place in the upcoming 2015 season. Why is there a need for global expansion if there are no plans to have an NFL team in these countries. At least Toronto was a fairly close option for Ralph Wilson to move the Bills. Up to his death, Wilson felt the stadium named in his honor needed many renovations and the City of Buffalo was not willing to pay the majority of the costs. 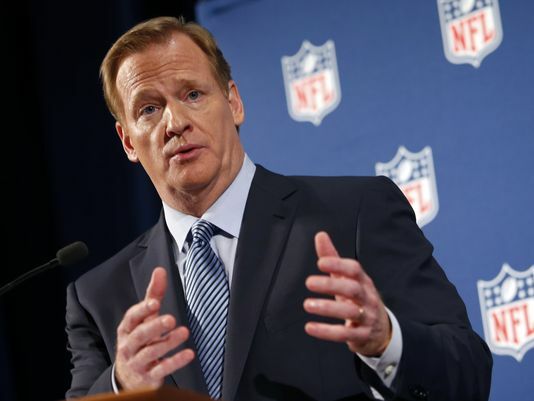 Does, Goodell plan on putting an NFL franchise in Mexico? Back in 2005, the Arizona Cardinals beat the San Francisco 49ers in front of 103,000 fans in Mexico so the interest is there. However, NFL players are not looking to be a member of the Azteca Bulls anytime soon. NFL owners do not seem to be complaining because they get a piece of the pie. Yet, maybe the Player’s Association could speak out and say enough is enough. Traveling and being away from their family is tough enough. Having to travel and leave earlier to play at an international venue is a change in working conditions. If I were commissioner for a day, eliminating games overseas would be first on my agenda. Unfortunately, I have a job that does not pay me 44 million which is what Goodell has made yearly since 2012. Therefore, Goodell will look for more international games to add more money in his pocket. Fans and players must voice their displeasure about having to travel outside the country to play. International games may be what Goodell and the NFL owners desire to continue the NFL empire, but it is not in the best interest of the players and its fans.